Le Massif is a cool ski resort in Quebec. 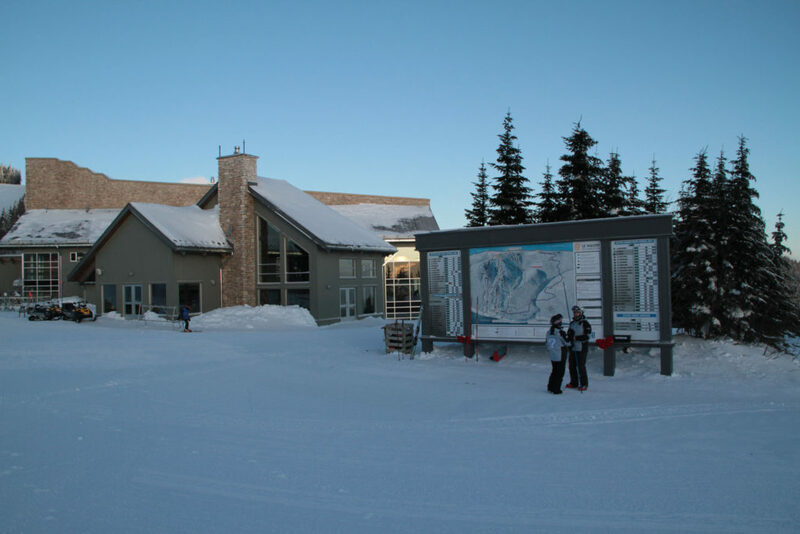 Trust us, you will love skiing from the 2,645-foot summit, the panoramic lodge is at the top where you start your day. 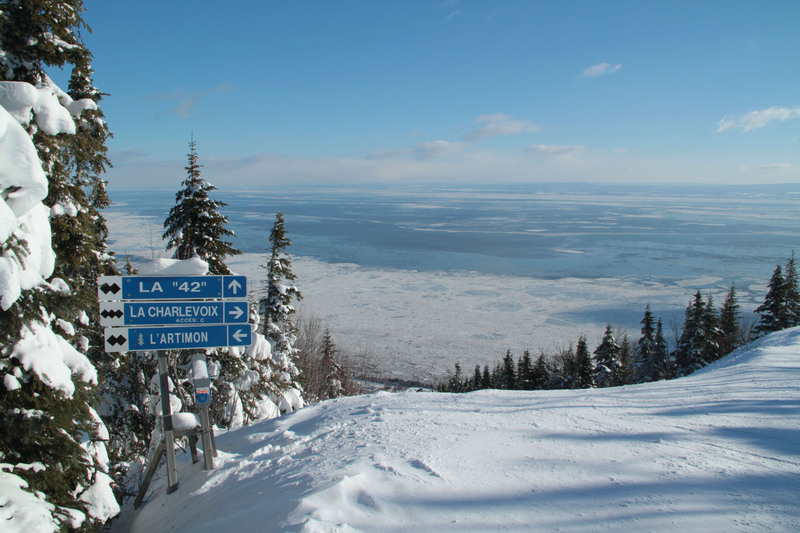 The view as you ski down toward sea level and The St Lawrence Seaway and River is amazing. 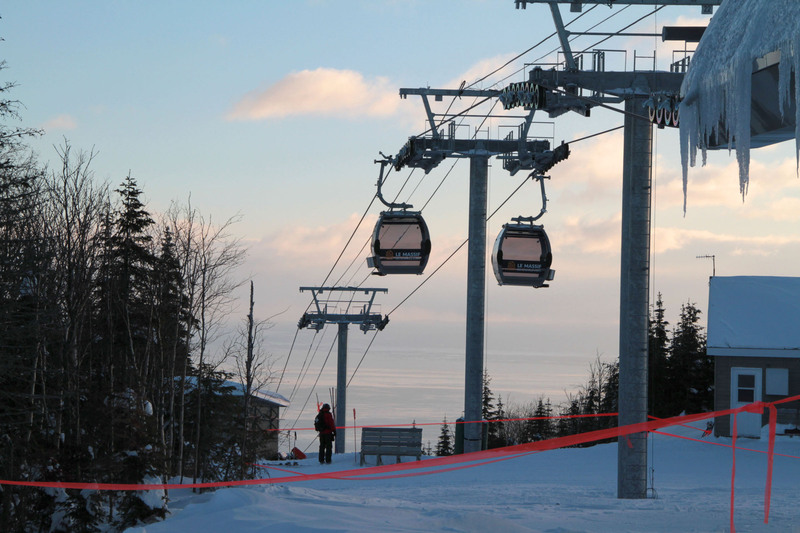 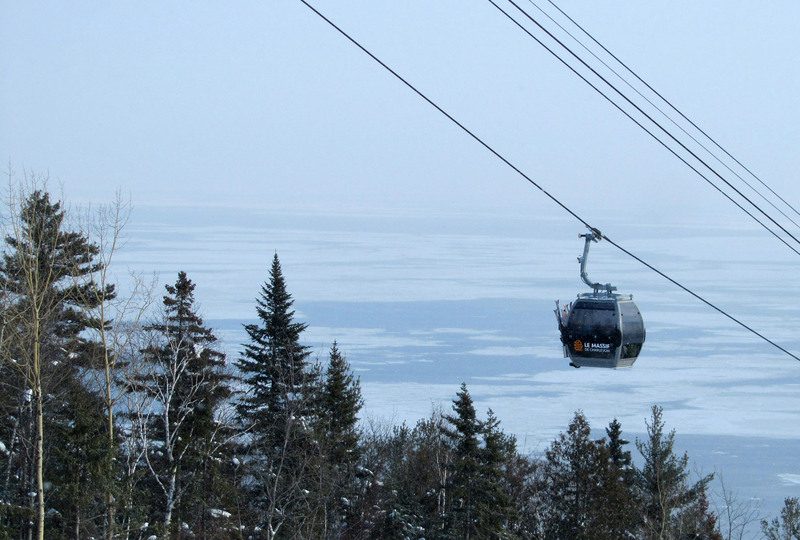 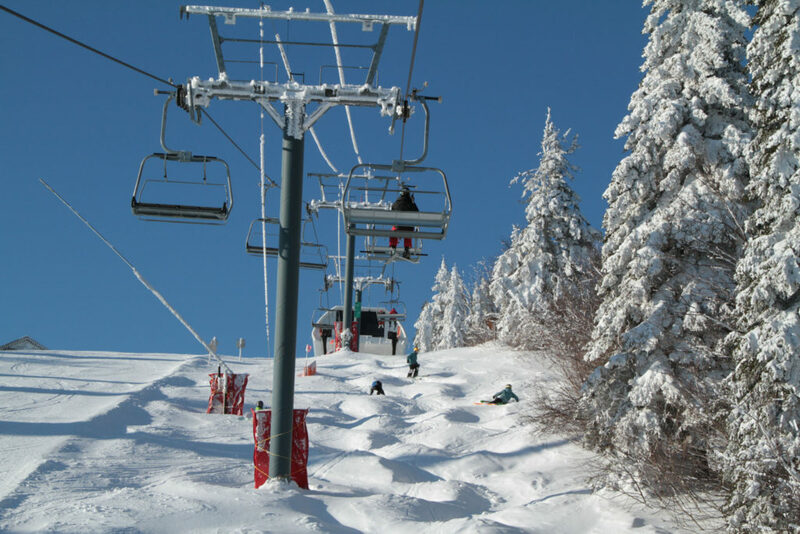 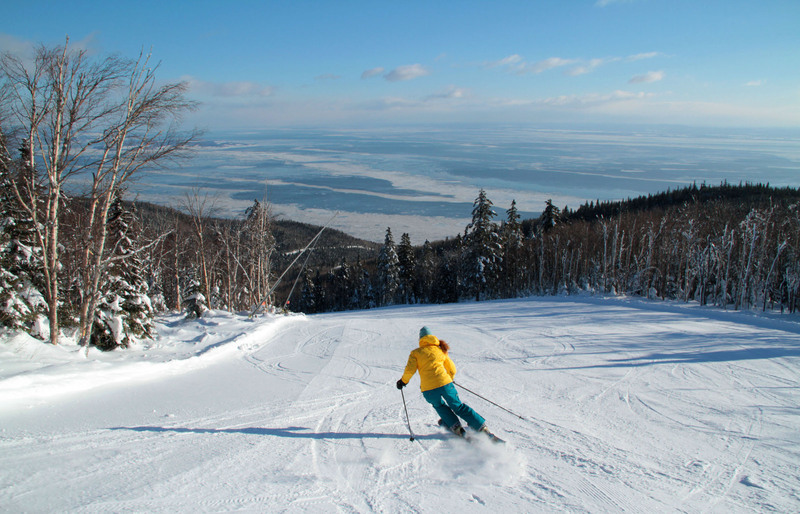 Le Massif is relatively young and modern (opened in 1980), and worth the trip – 20-minutes North of Mont Sainte Anne and 45-minutes from Quebec City . Cirque du Soleil famed Daniel Gauthier owns Le Massif – this is his luxury ski playground. Swift lifts, gorgeous base and summit day lodges, and top grooming are evidence of the $250 million spent in the last decade. 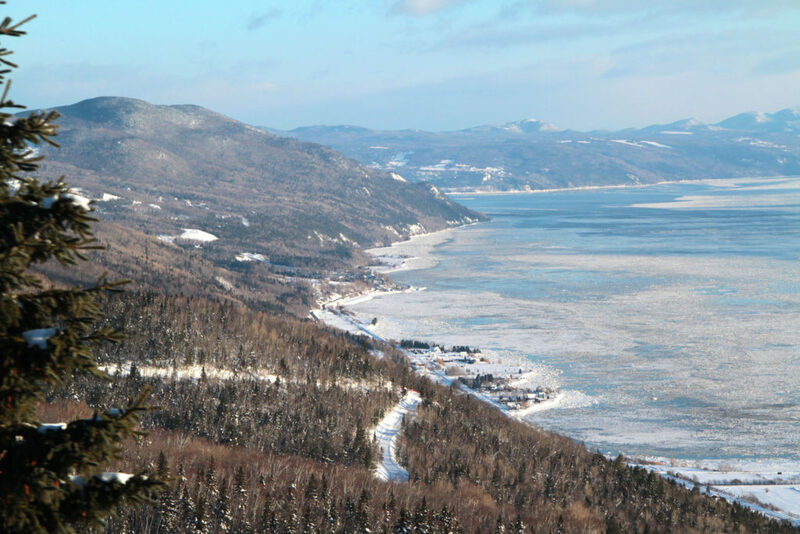 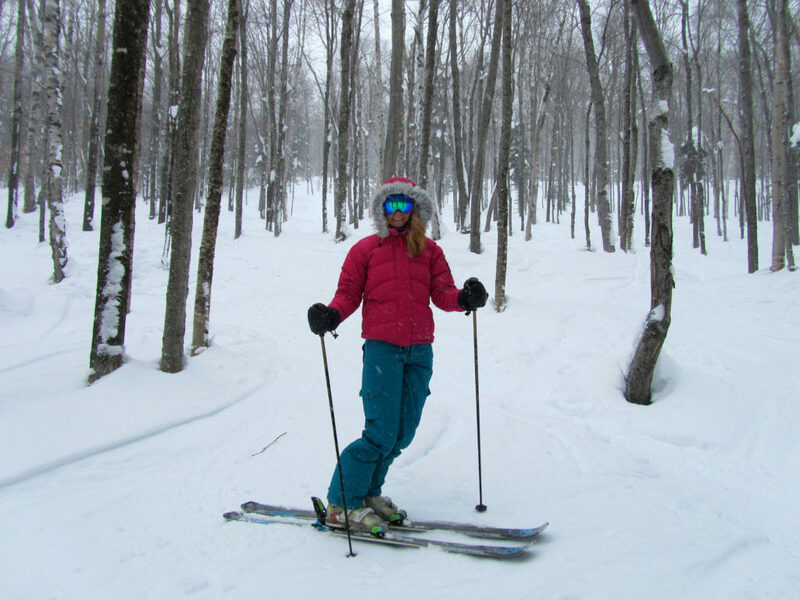 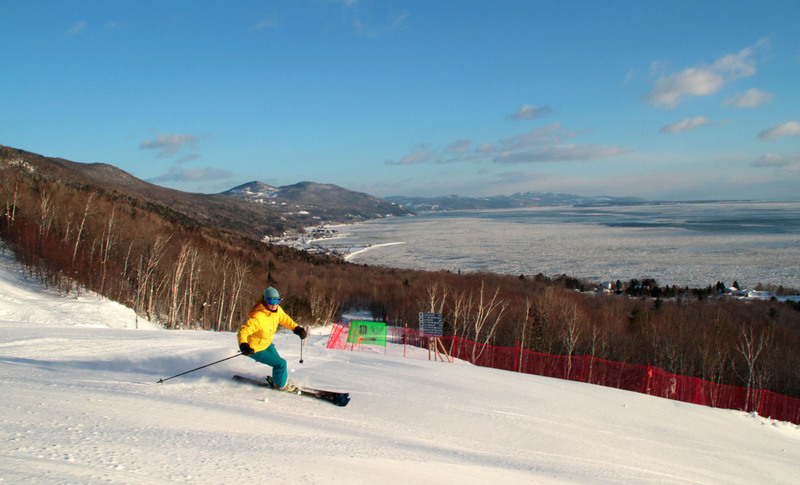 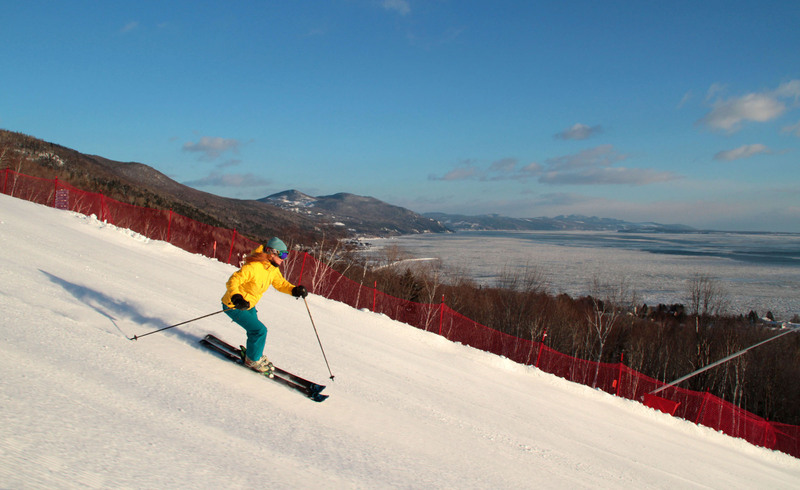 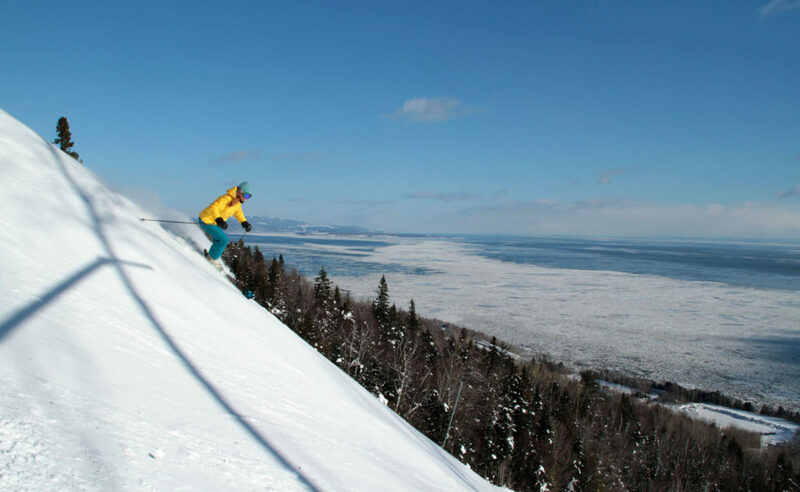 Le Massif has the most vertical, 2,526-feet, East of the Canadian Rockies, so you get great long trails, and a Downhill race course, Charlevoix, where the Canadian Ski Team now trains but you can ski the steeps pitched run too. 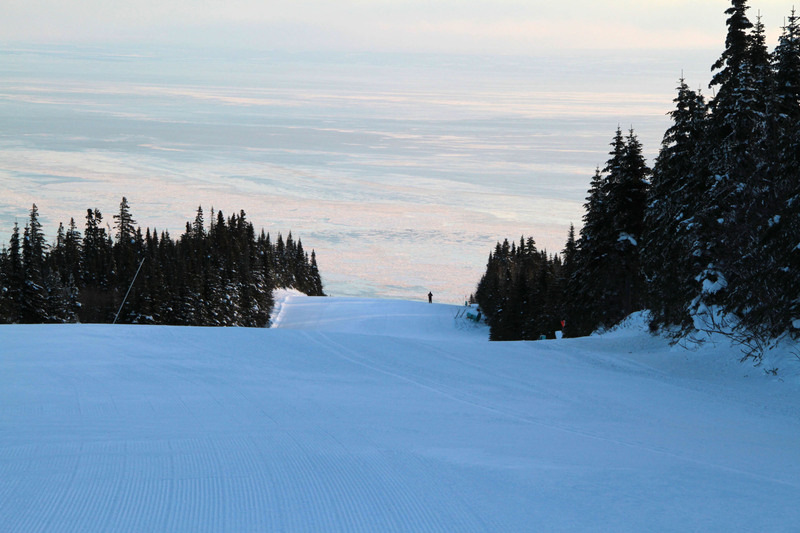 Le Massif ‘s crazy 7.5 km sled run for rodeling is called La Luge. 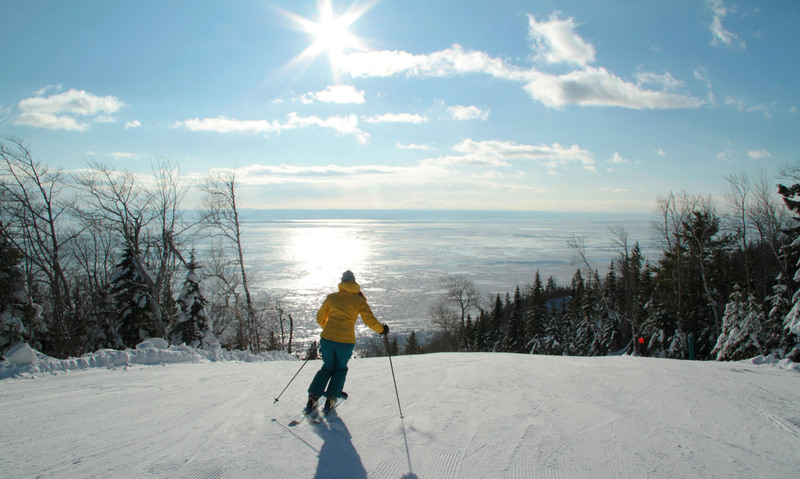 You must Luge for an absolute rush, great views, and serious vertical as you descend 23,960′ and 2,483′ vertical on a traditional wooden rodel sled. 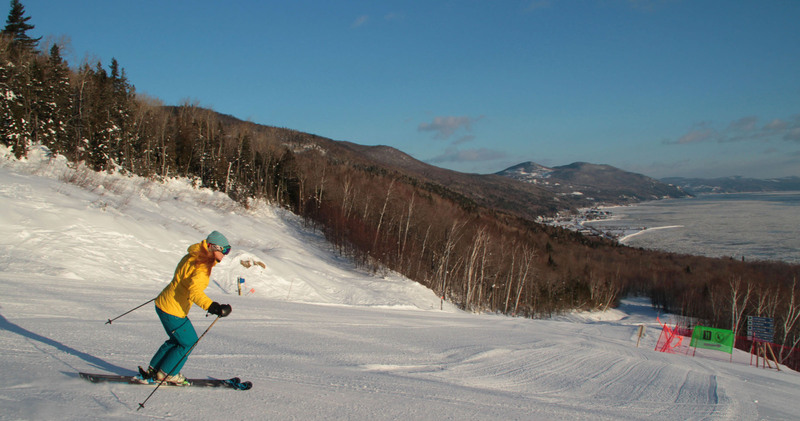 The likelihood of a crash is real, but the snow is pretty soft and the adventure is a great deal at $39 for the two hour excursion. 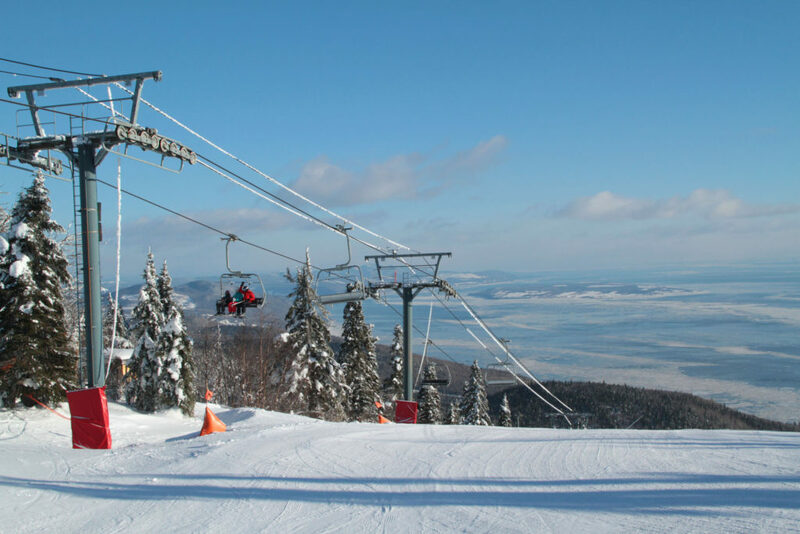 Lunch at Le Massif is delicious haute cuisine with awesome views – not your typical ski area base lodges – in fact there are no greasy fries, fast food or soda on the menu – everything is local and freshly made. 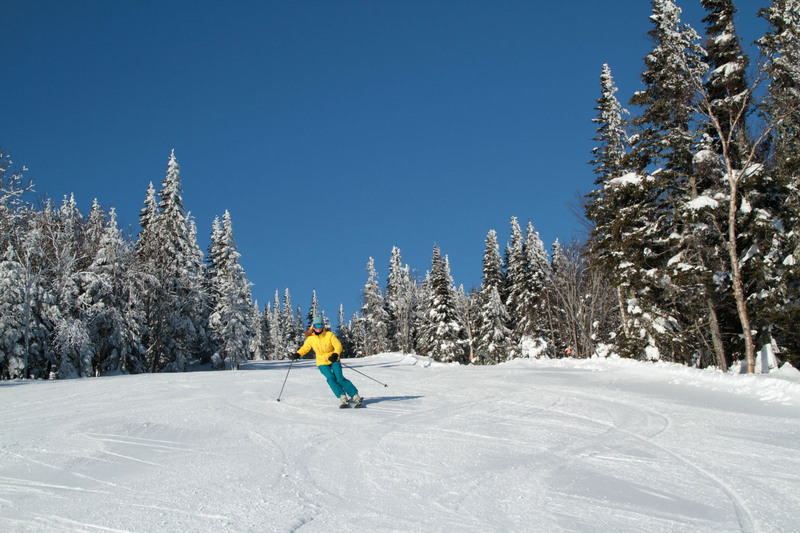 Demo Rossignol’s latest skis at the summit chalet Rossignol Boutique – their exclusive ski and clothing showcase store. 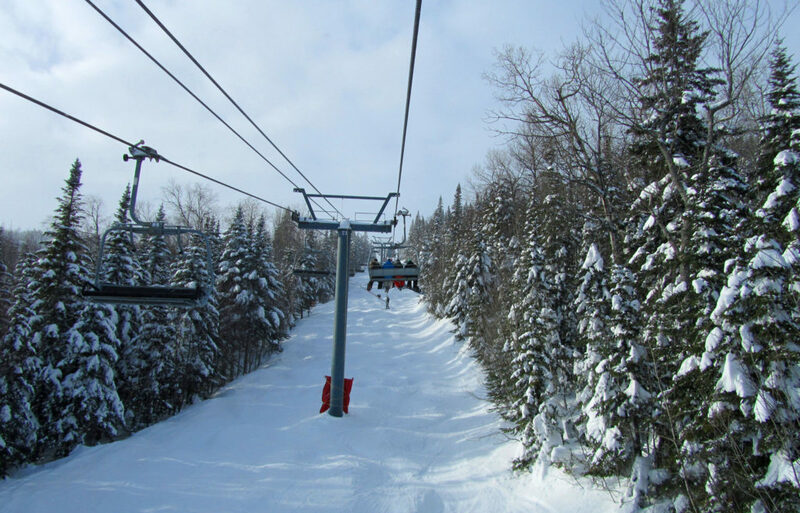 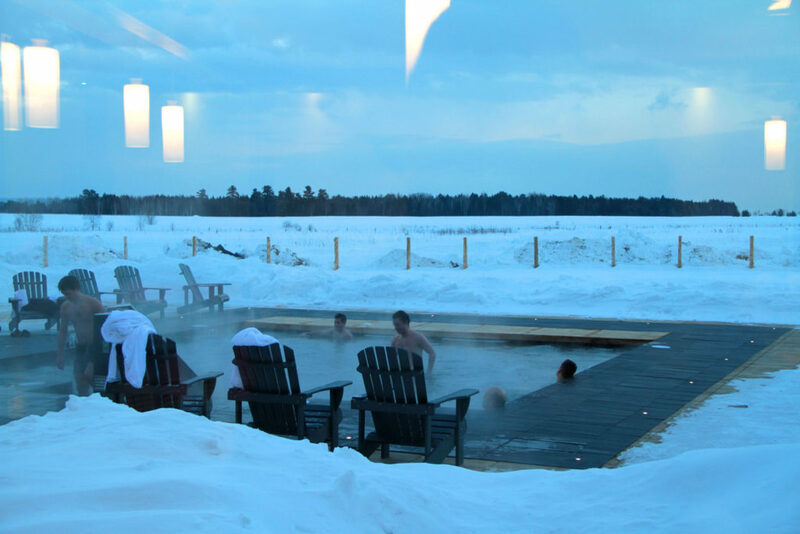 Lodging at Le Massif for skiers is on mountain in the architecturally mod Chalet Forets, or at the luxury four star Le Germaine Charlevoix in Baie-Saint-Paul, reached by Le Massif’s train from the base of the gondola. 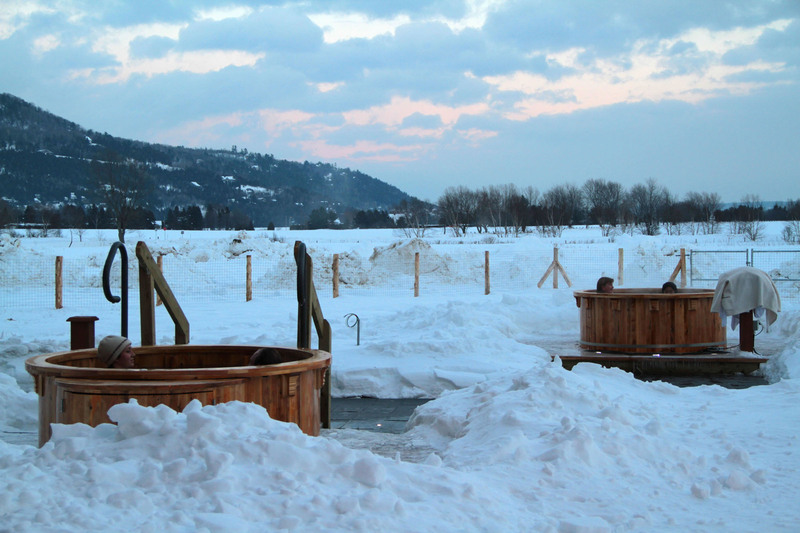 Once called Hotel La Ferme, this cool hotel complex offers a spa, outdoor hot tub, centerpiece ice rink, and 145 rooms (classic, superior, lofts and dormitories) in five uniquely designed pavilions, The Main Building, Le Clos, Le Moulin, La Bergerie and La Basse-Cour. 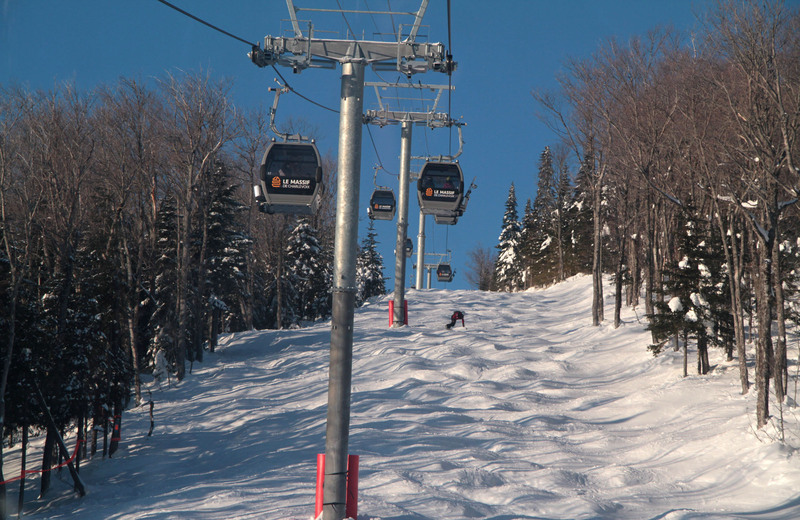 Le Massif ski bus was once the only way to reach the summit in the 1980’s, making for a long ski day of long rides. 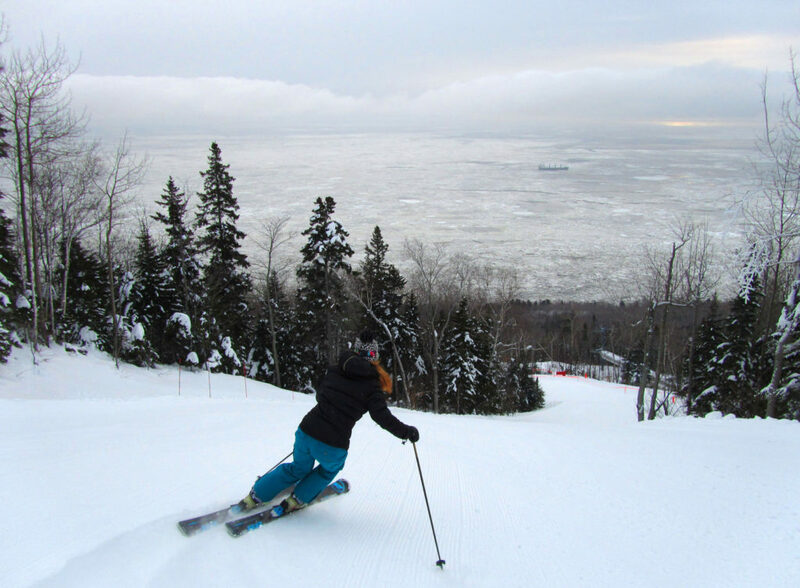 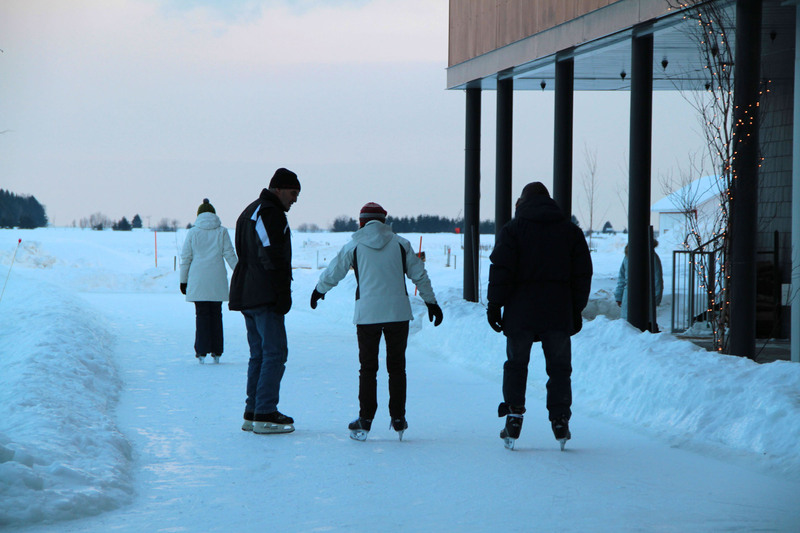 Today Le Massif is modern, magnificent and you make make your choice of starting your day at the summit parking or the bottom of the ski resort where the modern Train station is located (you can take a train to Quebec City and Baie St Paul). 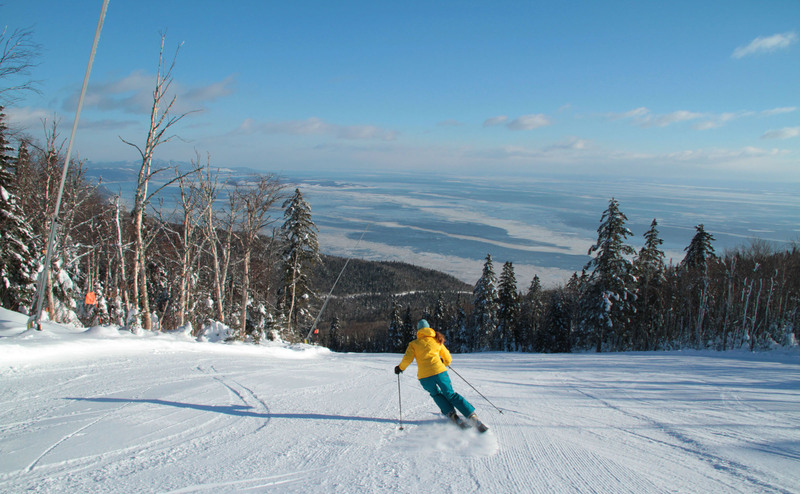 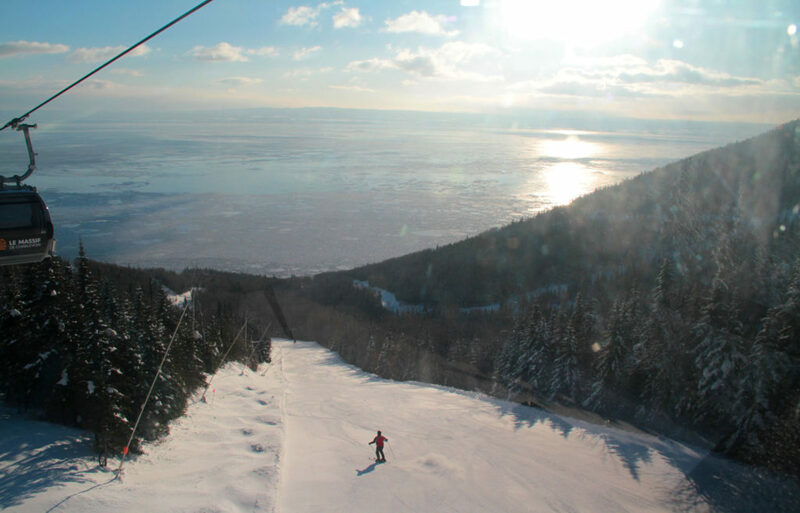 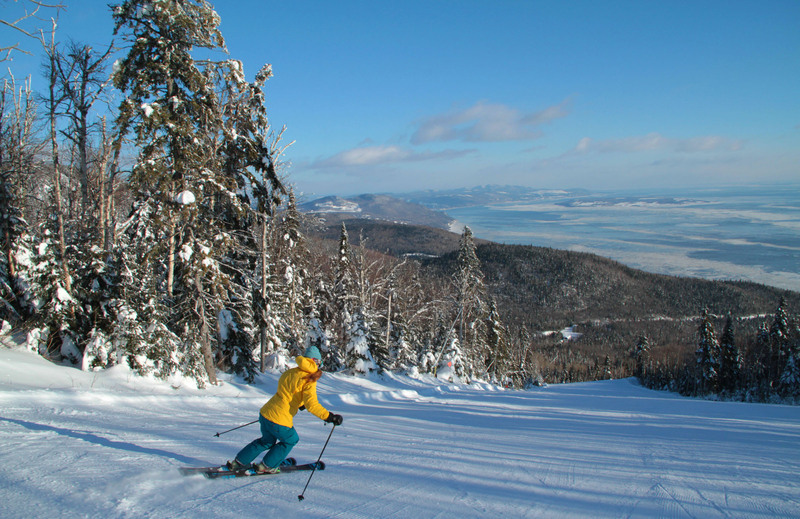 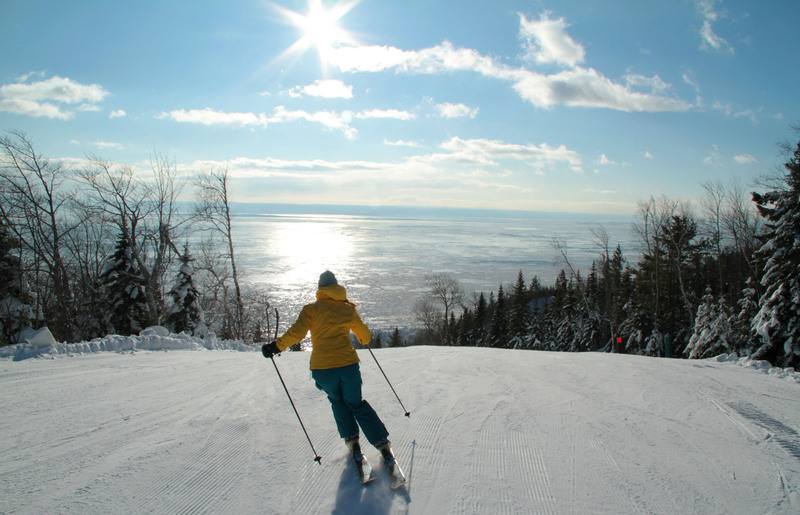 On your ski vacation in Quebec, we recommend you ski at Mont Sainte Anne and explore historic Quebec City as well.